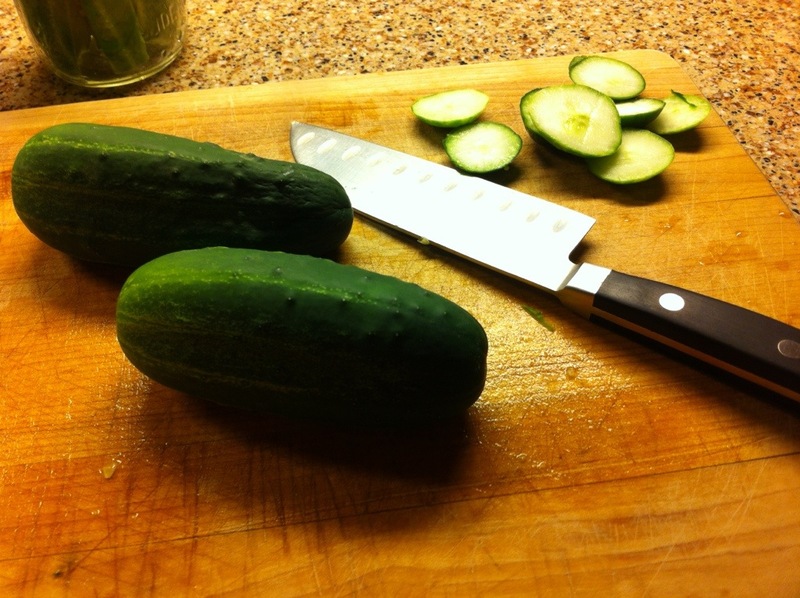 Benzo picked up eight “pickling cucumbers” at our farmers’ market. They are smaller and fatter than regular cucumbers. I sliced off the ends and then sliced them into spears and rounds. I ended up with four pint jars total – three of spears and one of rounds. So I doubled the spices and the brine in the recipe. Here are the spices on top of the pickles. The brine is only three ingredients. And I just so happened to have pickling salt on hand after making my own Neti-Pot mix. Here are the jars all sealed up with the brine. I ended up with 3/4 of another jar full of leftover brine. I chose not to process the jars. The Kitchn said that the jars would last for a couple months in the fridge and I figured we would go through all four jars before then. 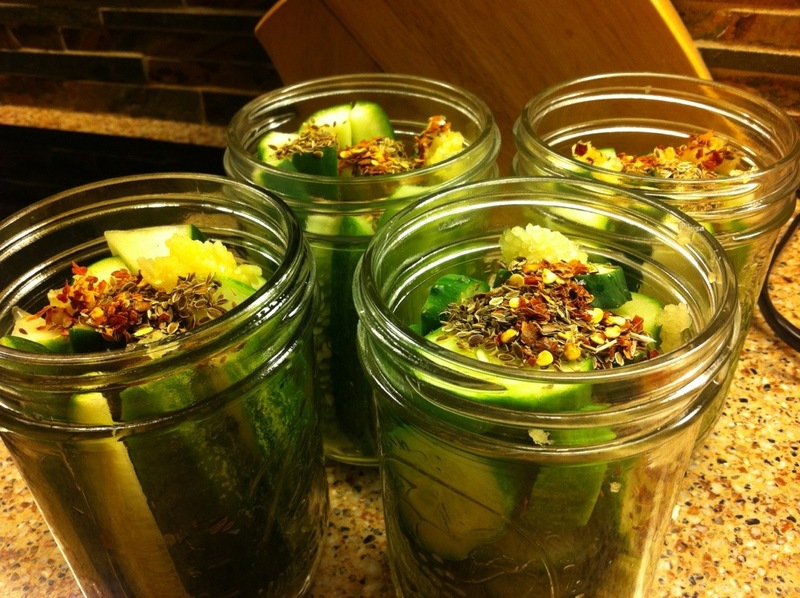 Without processing the jars, the pickling process was super easy. It took no time at all. I plopped the jars in the fridge and then my water broke about 8 hours later! Which worked out well for the pickles because they were ready to eat once we got home from the hospital. And WOW were they delicious. Nice and crisp with great flavor. I am not a huge pickle person. I mean I like them but I don’t crave them. But I have found myself sneaking spears from the jar throughout the day. One jar is gone already! 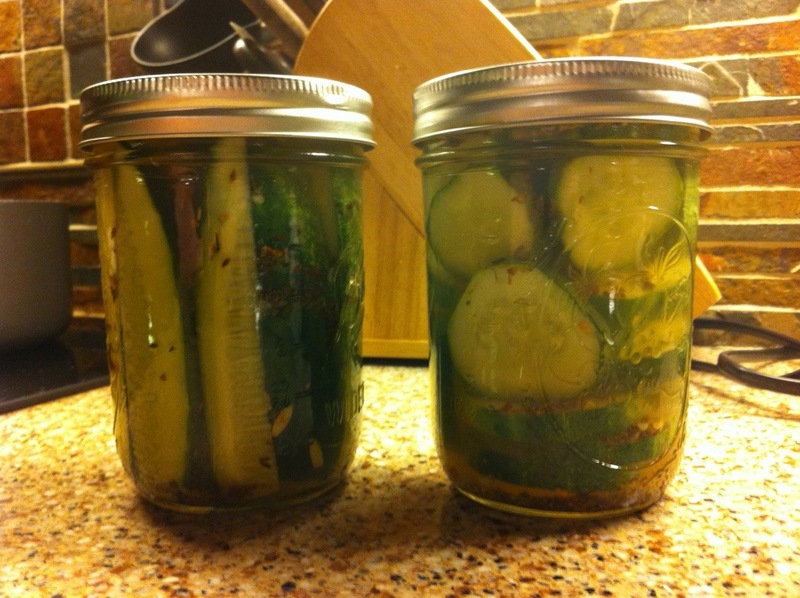 I might try to snag some more pickling cucumbers at the market and make another batch before they are out of season.